Skulls here! Getcha skulls here! 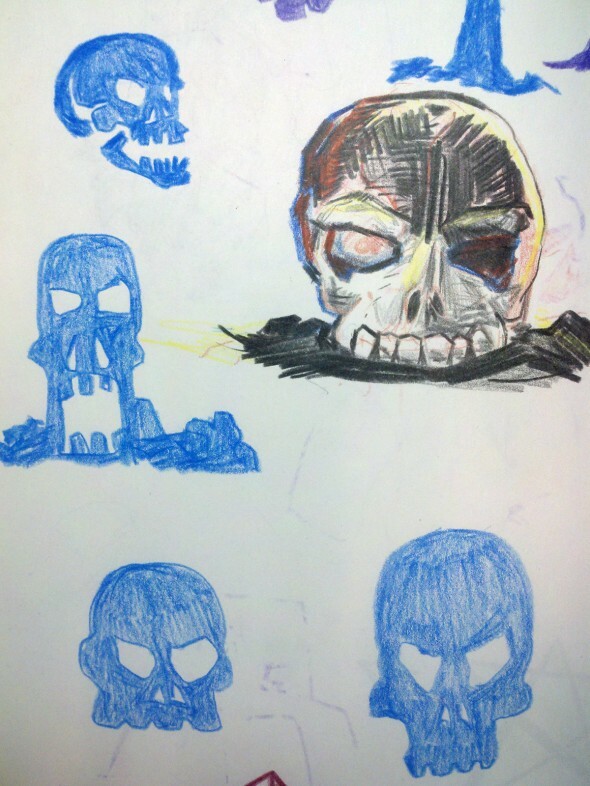 These drawings of skulls were used in the design for a landscape I did in memory of Steve Carlesi. These were done in my sketchbook on a beautiful day at the beach with my wife. It’s a bit strange to draw something like this in the presence of beach-goers, but once I go into my little world it doesn’t matter. Both images below will take you to the final piece. All money earned from the sale of the landscape will go to the family of Steve. Three different sizes are offered and pricing starts as low as $10.00.